Ganga has been flowing through this land for aeons. 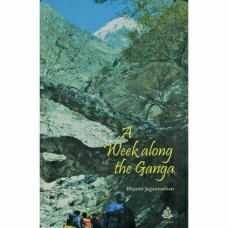 And thousands of people have walked along her banks, towards her origin in the snowy Himalayas. Then one day, a young girl and her mother do so as well, and in the process, get a chance to look at their own journey in life. What they discover has the power to alter their destinies. Reading like a delightful travelogue in the lap of the mountains, this tale in ultimately about comming face-to-face with your inner self, as the great river inspires one to do.